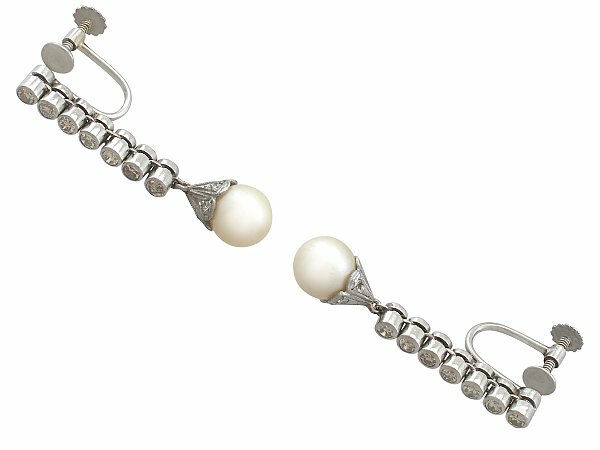 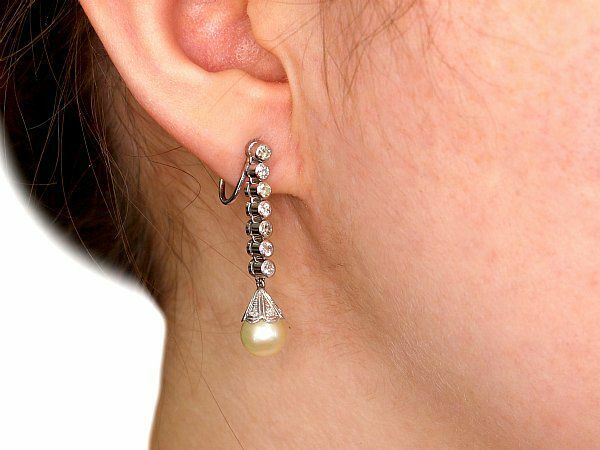 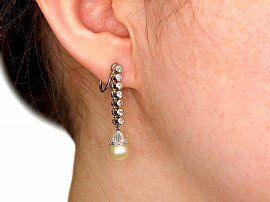 These fine and impressive pearl drop earrings have been crafted in platinum with 18 ct white gold screw back fastenings. Each drop earring has a 7.9mm cultured pearl terminal, displayed within a scalloped edged setting and accented with three pavé set eight-cut diamonds. 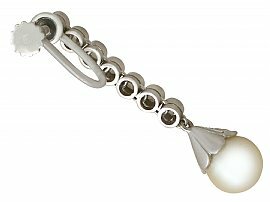 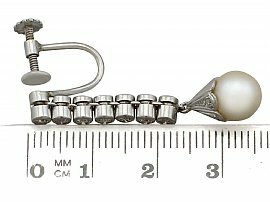 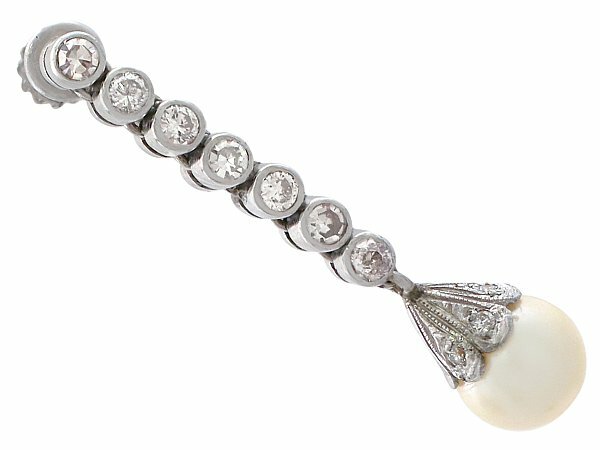 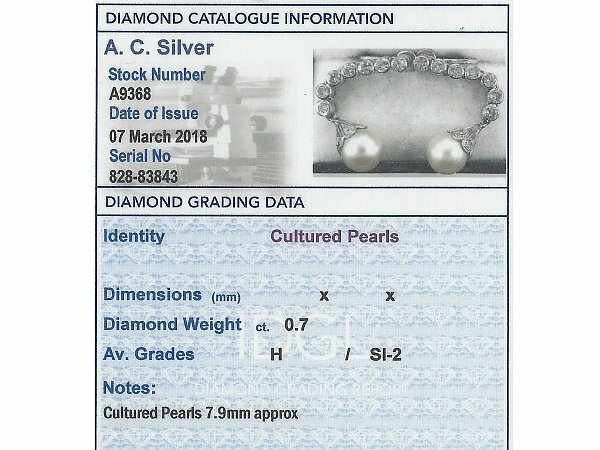 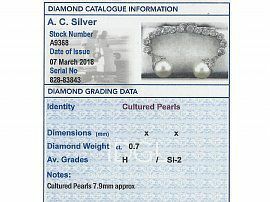 The cultured pearls suspend from the lower border of a fully articulated platinum linear drop composed of seven individually collet set transitional modern brilliant round cut diamonds. 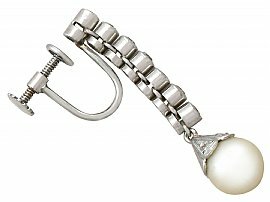 These earrings for non pierced ears secure to the reverse of the upper pearl with a 18 ct white gold screw back fastening. 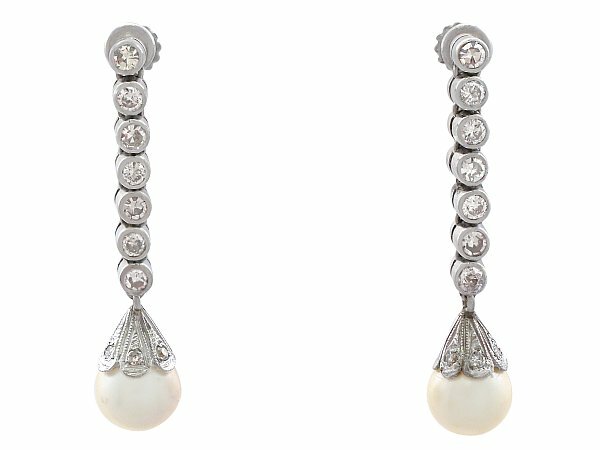 This stunning pair of vintage drop earrings has been independently tested using state of the art technology (Niton XL2 Analyzer) and verified as platinum with 18 ct gold fastenings. 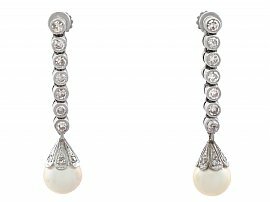 These impressive vintage drop earrings are fine quality set with cultured pearls and very well colour matched, very high colour graded old cut diamonds. 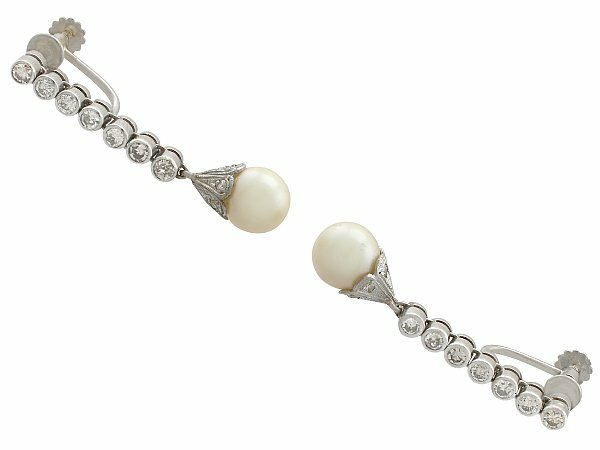 Reflections in photographs may detract from the true representation of this fine example of pearl and diamond jewellery/estate jewelry.